Celebrating EC Cape Town Teachers! 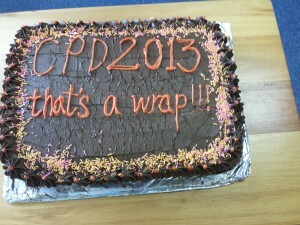 Yesterday marked the “Wrap Up” of Continuous Professional Development for Cape Town teachers 2013. A ceremony was held, where the Top Independent Research Project was unveiled and a prize awarded. Una, Chimonay and Mark collaborated on a Case Study over the course of a students’ 6 months stay with us. They taught and mentored the student and documented his trials, tribulations, development and progress. This project, among many aspects, clearly demonstrated what we strive to achieve at EC – to guide students to become autonomous learners and become global citizens. A massive Shout Out to teachers Una, Chimonay and Mark who will be shipped off to a Thai spa for an afternoon of well-deserved R&R and pampering. Runners up for the Independent Research Projects were Samia Singh with “Cultural Considerations in Academic English” and Ian van Rensburg with “Identifying Character Traits in an EFL Classroom”. The ceremony ended off with all teachers receiving CPD course completion certificates and were treated to Mocha-Choc Caramel cake. 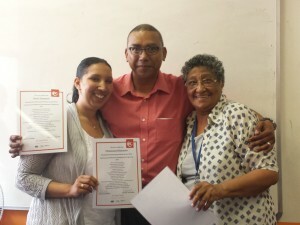 Read more about EC English Teachers in South Africa.